Cure All Cancers with Medical Hemp Oil!! The Hemp plant is being rediscovered to have profound cures for all types of cancer, diabetes, ms, and many, many other serious diseases. What if the medical community and our government were complicit in keeping the lid on this because the treatments can be done by anyone who can grow a plant and do basic cooking? What if that lid is no being blown off an the internet is exploding with case after case after case after case of personal testimonies of people who have cured themselves by using hemp oil or leaf juicing? ..and the most serious side effect was a really good buzz…or not? If you had learned you had cancer would you rather try a non invasive, low cost,proven highly effective treatment that does not profit the medical, solely for profit, establishment who only knows how to prescribe pills, radiate the radiation cells or perform invasive surgery? Up here in the ‘Emerald Triangle’ the cases of people healing themselves is exploding and word is getting around as we see now over 20 states approving medical hemp and Uraguay is becoming the first country to legalize it. Hemp Oil; is a very high concentrate of the highest quality hemp (Indica strain). The buds and plant is dilluted down with 99% rubbing alcohol in a rice cooker. Once the solvent is burned off you are left with a concentrate of pure Canibinoid (CBD) which is the healing property of the hemp. It takes about 3 hours to make and is immediately ready for treatment. Treatment begins with a syringe of a tiny drop building up overtime as not to overwhelm the person using it with a very big high (THC). It generally takes 2 -4 months for a complete cure. Rick Simpson, a Canadian, has completely cured over 5,000 people with cancer over the past ten years and has the data and testimony on his website. He has scientific data to support all his work as well as many, many MD’s who have become believers thanks to Rick. He has also been raided and harassed to no end by the RCMP, the Canadian legal system and the Canadian conventional medical association. LEAF Juicing: Since 2004. Dr. William Courtney, a Western medical doctor has been treating many different severe diseases using the leafs of hemp in a blender. This type of juicing does not dilute the Canibinoid (CBD) out by heating and does not have the pyschoactive (buzz) effects, so it is totally safe for all, especially children. He practices in Mendocino and has many, many success stories. Here is a you tube on his work. Cannabis oil is gathering an unstoppable momentum as a world class healer, and there is little or nothing Western Governments are going to be able to do stop it. Cases are popping up all over the world showing that cannabis oil has healed some very serious diseases, including anxiety disorders, epilepsy, MS (Multiple Sclerosis), cerebral palsy and cancer. This young man healed his stage IV throat, stomach and pancreatic cancer with cannabis oil. This Australian women healed her terminal stage IV lung cancer with it. Wallace Rose in the video clip above explains how cannabis oil cured his stage IV pancreatic cancer. It is a fundamental human right, no matter where you live on the planet, to be able to access and use whatever medicine you want to heal yourself. And, thankfully, we are beginning to see that Governments worldwide will not have the power to stand in the way of this natural right any longer. In 1998, a research team at Madrid’s Complutense University Led by Dr. Manuel Guzman discovered that THC can selectively induce programmed cell death in brain tumor cells without negatively impacting surrounding healthy cells. They reported in the March 2002 issue of “Nature Medicine” they had destroyed incurable brain cancer tumors in rats by injecting them with THC. And in 2007 even Harvard Researchers found that compounds in cannabis cut the growth of lung cancer. There is also an organization called The SETH Group that showed compounds in cannabis can stop the growth of human glioblastoma multiforma (GBM) brain cancer cells. The SETH Group says “No chemotherapy can match this nontoxic anti-cancer action.” Even last year in 2012 a pair of scientists at California Pacific Medical Center in San Francisco found THC stops metastasis in many kinds of aggressive cancer. Dr. Confirms Cannabis Oil Cures Brain Tumor & Brain Cancer !! 3) Up here in the Emerald Triangle (Mendocino, Humbolt and Trinity Counties) the number of success stories for curing cancer, diabetes, glaucoma, etc. are known to many. Recently I personally witnessed a lady in her mid-30’s who was told by her doctors, in the Summer of ’13, that if she did not have parts of her bladder and uterus removed she would not see Christmas. She took the hemp oil for two months as prescribed as well as changed to a raw diet and leafed. Two-and-one-half months later she went back to the doctors and got tested and was given an all clear. Doctors could not understand what had happened and would not believe that she had cured herself. 4) Apparently, the reason why this is so successful is that we generate natural CBD’s in our body and the receptors respond by communicating back and forth as opposed to the conventional medical industry’s treatments of one directional receptor communication. It is as if the CBD knows where to go to heal and the body is recognizing the natural healing of a like type and works with the CBD as opposed to conventional treatment of giving massive radiation to cure the radioactive cells. 5) Over 15 states have now legalized medical marijuana and the Federal government is desperate to stop these treatments because anyone can grow the plant and make the treatment themselves. In fact there is website called Cure your own cancer. As this self treatment gains the people of this country will become very angry and further disillusioned from the take a pill, cut it out, radiate it conventional medical industry who refuses to even acknowledge the preponderance of scientific evidence and personal testimonies. This is because the power to heal lies within YOU and you can reclaim control of your own cure, with the help of medical bioneers like Rick Simpson and Dr. Courtney. Marijuana has been used medically, recreationally and spiritually for about 5,000 years. Known botanically as cannabis, it has been called a “crude drug”: marijuana contains more than 400 chemicals from 18 chemical families. More than 2,000 compounds are released when it is smoked, and as with tobacco, there are dangers in smoking it. Medical marijuana clinics operate in 20 states and the District of Columbia, and its recreational use is now legal in Colorado and Washington. A Gallup poll conducted last month found that 58 percent of Americans support the legalization of marijuana. Yet researchers have been able to do relatively little to test its most promising ingredients for biological activity, safety and side effects. The main reason is marijuana’s classification by Congress in 1970 as an illegal Schedule I drug, defined as having a potential for abuse and addiction and no medical value. American scientists seeking clarification of marijuana’s medical usefulness have long been stymied by this draconian classification, usually reserved for street drugs like heroin with a high potential for abuse. Dr. J. Michael Bostwick, a psychiatrist at the Mayo Clinic in Rochester, Minn., said the classification was primarily political and ignored more than 40 years of scientific research, which has shown that cellular receptors for marijuana’s active ingredients are present throughout the body. Natural substances called cannabinoids bind to them to influence a wide range of body processes. 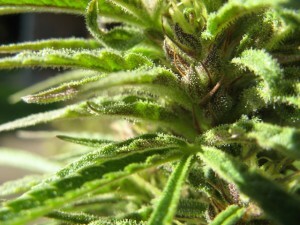 In a lengthy report entitled “Blurred Boundaries: The Therapeutics and Politics of Medical Marijuana,” published last year in Mayo Clinic Proceedings, Dr. Bostwick noted that the so-called endocannabinoid system has an impact on the “autonomic nervous system, immune system, gastrointestinal tract, reproductive system, cardiovascular system and endocrine network.” There is evidence that several common disorders, including epilepsy, alcoholism and post-traumatic stress disorder, involve disruptions in the endocannabinoid system, suggesting that those patients might benefit from marijuana or its ingredients. The tears of a phoenix have immense healing powers. It is the only known cure for the basilisk venom. It is also capable of reviving a person from any injury, even if the person is at the brink of death, similar to unicorn blood (without the cursed side-effects). Fawkes produced his tears to heal Harry Potter when the latter was bitten by Salazar Slytherin’s Basilisk during the battle in the Chamber of Secrets, which not only sealed the wound, but also cleared the poison out of Harry before he died from it. In 1995, Fawkes also healed the injury to Harry’s leg that he received from the acromantula in the Hedge Maze during the Third Task of the Triwizard Tournament. 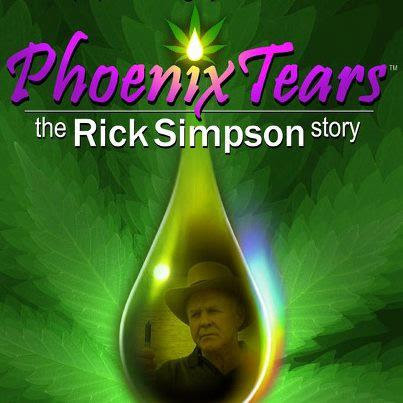 “Rick Simpson has been providing people with instructions on how to make Hemp Oil medicines for about 8 years. The results, Rick claims, have been nothing short of amazing. The research, backed by hundreds of other studies done worldwide, have proven that properly made hemp medicine provides relief and cures many diseases, even cancer. Simpson has provided hemp oil to hundreds of people with various medical conditions and the results speak for themselves. Published on Feb 20, 2013 What if Cannabis Cured Cancer explains how we are all born with a form of Cannabis already in our bodies, and when consumed, the Endocannabinoids inside us, along with any Cannabinoids we ingest, fit together like a key in a lock, unlocking special processes. Thereby promoting the death of cancer cells without harming the body’s healthy cells using Programmed Cell Death but not limited to Programmed Cell Death. A powerful and eye-opening film about the future of cannabis, and perhaps even the future of medicine. What If Cannabis Cured Cancer summarizes the remarkable research findings of recent years about the anti-cancer/ protective effects of novel compounds in Cannabis and brings to light a host of recent findings that have potentially game-changing implications for the future of Cannabis as a medicine. Narrated by Emmy-winning actor Peter Coyote. and featuring interviews with… * Dr. Robert Melamede, Associate Professor and Biology Chairman, University of Colorado * Dr. Sean D. McAllister, PhD, researcher at the California Pacific Medical Center, San Francisco. * Dr. Jeffrey Hergenrather, M.D. * Dr. David Bearman M.D. * Dr. Manuel Guzman, Ph.D. Professor of Biochemistry and Molecular Biology, School of Biology Complutense University Madrid, Spain * Dr. Raphael Mechoulam, Professor of Medical Chemistry at the University of Jerusalem * Dr. Donald Abrams, Professor of Clinical Medicine and Integrative Oncology, University of California, San Francisco. Five new cannabis-centric studies that warrant major attention. Scientific revelations are published almost daily in regard to the healing properties of the cannabis. But most of these findings appear solely in obscure, peer-reviewed journals and go largely unnoticed by the major media. Here are five new cannabis-centric studies that warrant mainstream attention. Traumatic brain injury (TBI) patients with a history of cannabis use possess increased survival rates compared to non-users, according data published this month in the journal American Surgeon. UCLA Medical Center investigators conducted a three-year retrospective review of brain trauma patients. Data from 446 separate cases of similarly injured patients was assessed. Of those patients who tested positive for the presence of marijuana, 97.6 percent. Department of Medicinal Chemistry and Natural Products, School of Pharmacy, Faculty of Medicine, Hebrew University, Ein Kerem Campus, Jerusalem 91120, Israel Published online in Wiley InterScience (www.interscience.wiley.com). Abstract: Research on the chemistry and pharmacology of cannabinoids and endocannabinoids has reached enormous proportions, with approximately 15,000 articles on Cannabis sativa L. and cannabinoids and over 2,000 articles on endocannabinoids. The present review deals with the history of the Cannabis sativa L. plant, its uses, constituent compounds and their biogeneses, and similarity to compounds from Radula spp. In addition, details of the pharmacology of natural cannabinoids, as well as synthetic agonists and antagonists are presented. Finally, details regarding the pioneering isolation of the endocannabinoid anandamide, as well as the pharmacology and potential therapeutic uses of endocannabinoid congeners are presented. 2008 Wiley Periodicals, Inc. Key words: cannabis; cannabinoids; endocannabinoids; pharmacology; receptors 1 . I N T ROD U C T I O N Cannabis sativa L. (hemp) and its phytochemical products (hashish, marihuana) are the most widely produced, plant-based, illicit drugs and the illegal drug most frequently used in Europe. The illegal status and widespread use of Cannabis has simultaneously stimulated efforts to identify the psychoactive constituents of Cannabis while making basic and clinical research on the properties of Cannabis difficult. Despite these obstacles, the discovery of endocannabinoids and delineation of their biochemical and physiological actions in multiple organ systems is currently a significant arena of research. Similarly, the medicinal properties of Cannabis products have been recognized for millennia, but their legal or licensed use in medicine remains controversial. The most prominent therapeutic indications for Cannabis-derived galenicals, or related products (e.g., Marinol) in the modern world include: as an analgesic for cancer pain, post-operative pain, and phantom limb pain; for decreasing intraocular pressure in glaucoma; reducing spasticity, ataxia, and muscle weakness associated with multiple sclerosis, cerebral palsy, and spinal cord injuries; bronchodilatation in asthma, suppressing emesis induced by oncolytics; and appetite stimulation in response to cachexia/ anorexia caused by opioids, antivirals, AIDS-related illnesses or terminal cancer. 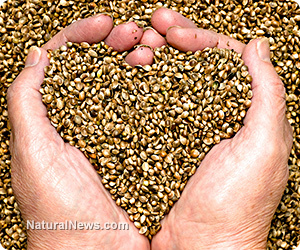 Science Daily ~ Active Ingredient in Hemp Has Anti-Cancer Effects, Study says. Drug and cannabis are two words which should never be used in the same sentence.The fact that one cannot be mentioned without the other is directly attributable to US government sponsored deception and lies. As we near an inevitable change in drug policy here in the UK these lies are now easily exposed by anyone with an internet connection. One of the reasons is that the heroin trade has been monopolised for years by big pharma, opiates are one of the biggest sellers in their portfolio. The poor track record of this reckless and socially irresponsible industry is well established and remains sanctioned by governments worldwide which protect it from diminishing or collapsing markets. Not withstanding the amount of deaths and social deprivation caused by prescription medicines these are considered well regulated and well run companies and remain a firm favourite with stock markets globally. This mom’s 19-month-old daughter made a miraculous recovery when she gave her cannabis oil after the doctors said the baby had only days to live. Rachael Garner, 33, was informed by doctors that her daughter Nettie Raenetta, who suffers with cerebral palsy and epilepsy, had just a few days to live after she came down with pneumonia. Ms Garner would not except this and done what many parents are doing now in a desperate bid to save their children’s lives. Ms Garner went online and researched alternative therapies and she came across many articles, medical journals and testimonials describing cannabis oil as a cure. Ms Garner said: “I couldn’t believe it, they didn’t even give her a chance. I knew cannabis had helped others and after doing some research myself, I was convinced that this treatment would not only be the best option, but the safest. “Just days’ after giving Nettie cannabis, her color came back. It was like she woke up”. Nettie was born with severe Hydrocephalus which is a rare genetic brain disorder, it caused her head to swell with massive water instead of brain tissue. Apart from having an underdeveloped brain, Nettie was born at full term and was declared healthy. Due to the lack of brain matter Nettie was exposed to other health risks and within weeks she had developed major disorders including cerebral palsy, epilepsy, developmental delay and partial blindness and paralysis. It is also not the technique used by scientists who are searching for a cure for cancer. 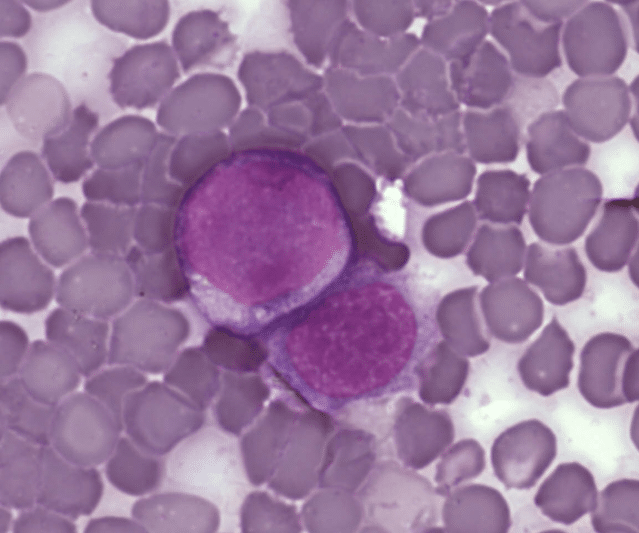 Scientists who are searching for a cancer cure are searching for a synthetic ‘medicine’ to treat patients already suffering from cancer. That’s where the money is to be found. That’s where the research grants come from. That’s how you get a Nobel Prize for medicine; by developing a ‘cure’. But there is little money to be made by learning to prevent cancer, or by curing cancer one patient at a time – so nobody is interested. If your cancer has been cured – doctors are not interested. You are no longer a patient. If your cancer has been cured – scientists are not interested. More money can be made by studying people who have cancer. If your cancer has been cured – your insurance company is not interested. Don’t expect your insurance company to make any payments for ‘alternative’ cures. Insurance companies pay for ‘recognized treatments’, of which there are many – especially ’cancer treatments’. But your insurance company believes there are no cancer cures. So how can we find the cure(s) for cancer(s) if we refuse to look at the people who are cured? How can we cure cancer if we refuse to look t people who are healthy? “Long before I began this project, I had steadily reviewed the scientific literature on medical marijuana from the United States and thought it was fairly unimpressive. Reading these papers five years ago, it was hard to make a case for medicinal marijuana. I even wrote about this in a TIME magazine article, back in 2009, titled “Why I would Vote No on Pot.” Well, I am here to apologize. While investigating, I realized something else quite important. 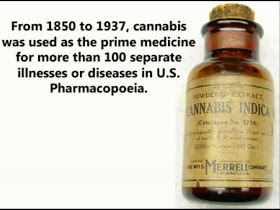 Medical marijuana is not new, and the medical community has been writing about it for a long time. There were in fact hundreds of journal articles, mostly documenting the benefits. Most of those papers, however, were written between the years 1840 and 1930. The papers described the use of medical marijuana to treat “neuralgia, convulsive disorders, emaciation,” among other things. Looking forward, I am especially intrigued by studies like those in Spain and Israel looking at the anti-cancer effects of marijuana and its components. I’m intrigued by the neuro-protective study by Lev Meschoulam in Israel, and research in Israel and the United States on whether the drug might help alleviate symptoms of PTSD. I promise to do my part to help, genuinely and honestly, fill the remaining void in our knowledge. A search through the U.S. National Library of Medicine this past year pulled up nearly 20,000 more recent papers. But the majority were research into the harm of marijuana, such as “Bad trip due to anticholinergic effect of cannabis,” or “Cannabis induced pancreatitits” and “Marijuana use and risk of lung cancer.” In my quick running of the numbers, I calculated about 6% of the current U.S. marijuana studies investigate the benefits of medical marijuana. The rest are designed to investigate harm. That imbalance paints a highly distorted picture. The challenges of marijuana research To do studies on marijuana in the United States today, you need two important things.First of all, you need marijuana. And marijuana is illegal. You see the problem. Scientists can get research marijuana from a special farm in Mississippi, which is astonishingly located in the middle of the Ole Miss campus, but it is challenging. When I visited this year, there was no marijuana being grown. The second thing you need is approval, and the scientists I interviewed kept reminding me how tedious that can be. While a cancer study may first be evaluated by the National Cancer Institute, or a pain study may go through the National Institute for Neurological Disorders, there is one more approval required for marijuana: NIDA, the National Institute on Drug Abuse. It is an organization that has a core mission of studying drug abuse, as opposed to benefit. Stuck in the middle are the legitimate patients who depend on marijuana as a medicine, oftentimes as their only good option. Keep in mind that up until 1943, marijuana was part of the United States drug pharmacopeia. One of the conditions for which it was prescribed was neuropathic pain. It is a miserable pain that’s tough to treat. My own patients have described it as “lancinating, burning and a barrage of pins and needles.” While marijuana has long been documented to be effective for this awful pain, the most common medications prescribed today come from the poppy plant, including morphine, oxycodone and dilaudid. Here is the problem. In the United States, that has been challenging because of the infrastructure surrounding the study of an illegal substance, with a drug abuse organization at the heart of the approval process. And yet, despite the hurdles, we have made considerable progress that continues today. War on weed coming to an end? Attorney General Eric Holder today announced an Obama Administration policy change on mandatory sentences as they relate to drugs. The new policy includes the “compassionate release” of some prisoners and expanding “at-risk” programs for teens. M**ost interesting about Holder’s announcement today is the timing. It followed last night’s airing of the documentary, Weed, an investigative report by TV doctor Sanjay Gupta who preempted the broadcast with an apology for his stance on marijuana. “I mistakenly believed the Drug Enforcement Agency listed marijuana as a Schedule 1 substance because of sound scientific proof,” he wrote. Schedule 1 drugs are considered extremely dangerous with no medical value. But, like medical marijuana advocates have been saying for years, that just ain’t so. Weed featured the story of six-year-old Charlotte Figi, who has a severe type of epilepsy known as Dravet syndrome. She suffered 300 seizures a week. Modern medicine was unable to help. The family finally pursued medical marijuana, the kind that’s high in CBD, the medicinal cannabinoid, and low in THC, the psychoactive one. She’s now down to seven seizures a week, and the results were immediate. The new arrivals call themselves marijuana refugees. Many have left jobs and family members behind in states where marijuana remains outlawed, or cannot be used to treat children. While some have moved their entire families, others are splintered, paying rent and raising children in two states. During the holidays, they join family gatherings through video chats and swap iPhone pictures of Christmas trees. But as more arrive to register their children as medical-marijuana patients, they have knitted together a random family here, across the suburbs and foothills of Colorado’s Front Range. They are Muslims and conservative Christians, liberal Democrats and conservative Republicans. Now, they cook dinners and babysit for one another. They meet to compare progress and seizure diaries. They discuss the best ways to feed the oil to their children. They wait, and hope for results that mirror the astonishing successes they have seen in television reports and online videos. “I put what fit in my car and drove out here,” said Marisa Kiser, whose 19-month-old son, Ezra, has had seizures since he was 3 days old. The families have hung their hopes on a marijuana oil called Charlotte’s Web, which is made by a medical marijuana dispensary in Colorado Springs. The business, called Indispensary, also sells a variety of highly potent marijuana and edibles. Buyers of the medical marijuana must present certifications from two practicing Colorado doctors. Charlotte’s Web is a rich amber and as thick as cold honey. The other mother featured in the video, Heather Jackson, was so convinced by the potential of CBD that she is now the executive director of the Realm of Caring Foundation. Ms. Jackson said her son, Zaki, who once had 200 seizures a day, still faces a host of developmental disabilities, and will probably need help for the rest of his life. But she said he had gone 14 months without a seizure. A pretreatment recording of electrical activity in his brain showed a heaving chaos of huge spikes and deep troughs. A readout taken several months in showed smoother rises and falls. “It’s really incredible,” Ms. Jackson said in an interview. 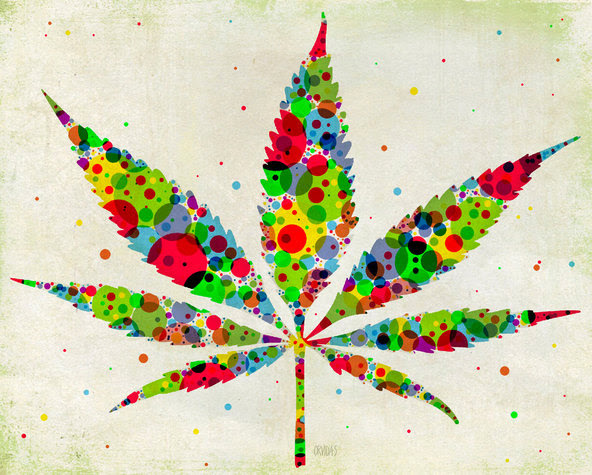 “For whatever reason, this has put his syndrome into remission.” There is only scattered medical research to substantiate the claims, in large part because marijuana’s outlaw status has kept it off limits for many scientists in the United States. Studies as far back as 1975 have suggested that cannabidiol can prevent spasms in lab animals, and a few researchers in the United States have conducted limited studies on people. Dr. Margaret Gedde, a Colorado physician who has recommended medical marijuana to dozens of families with severely epileptic children, recently conducted a small survey that offered promising results. Of 11 families who treated their children with high-CBD oil, eight reported that their children’s seizures had fallen by 98 to 100 percent. The other families reported smaller but noticeable declines. Dr. Gedde and her co-researcher, Dr. Edward H. Maa, an assistant professor of neurology at the University of Colorado School of Medicine, will present their research to the American Epilepsy Society at a meeting next week. But the clinical trials matter little to parents who have watched their children sustain cracked skulls and broken arms during seizures, who have spent holidays in the emergency room, whose toddlers are taking barbiturates. After years of watching their children slowly vanish behind a firestorm of seizures, or the debilitating side effects of powerful prescription drugs, they said marijuana seemed worth a try. The families’ stories have been covered extensively in the local newspaper, The Gazette. “We really didn’t have any other options,” said Annie Koozer, whose family left Tennessee in search of help for their 2-year-old daughter, Piper, who has a rare genetic condition called Aicardi syndrome, in which the structure that connects the two hemispheres of the brain is deformed or missing. Since she was 3 months old, the girl has endured 400 seizures a day. After treatment by five neurologists and nine increasingly debilitating seizure medications, the family moved to Colorado in August. Ms. Koozer’s husband, Justin, called it the family’s last-ditch effort to help Piper. They signed a lease on an apartment and began giving her the oil about a month ago. Waves of seizures still attack her, leaving her parents helpless, worried she will stop breathing. But they said Piper sleeps more, seems more alert and appears to have fewer spasms now — sometimes as few as two or three each day. They do not know what will happen, whether the progress is real or sustainable. But they have decided to keep at it. And they have decided that this place, 1,300 miles away from their extended family, is now home. Cannabis is labeled by the US Government as a Schedule One Narcotic, meaning little to no known medical value. (Even though the US Govt holds patents that state otherwise) Marinol, which is APPROVED BY THE FDA, is synthesized THC. 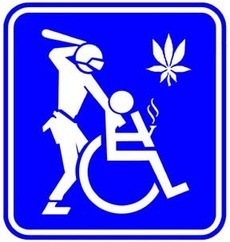 Millions of people are sitting in jail for using Cannabis raw, but it’s ‘perfectly fine’ to use the plant if the Government and their corporate owners take most of the medicine out of it, then get to charge you an arm and a leg for it. Why is that? I shall explain. The US Government is well aware Cannabis has medicinal properties. 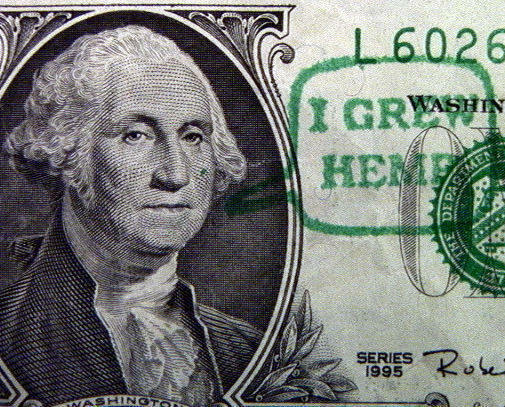 In fact, the US Government has known since 1974 that Cannabis cures Cancer. In ’72 Richard Nixon wanted a larger budget for his war on drugs. He thought that if he proved Cannabis caused lung cancer like cigarettes do, he would get the support he needed. He gave the Medical College of Virginia 2 years to do a study on the effects of THC on the body. In ’74 the study was completed. It turns out, THC when ingested in highly concentrated forms (such as eating Cannabis oil) will attack any mutated cells in your body while strengthening and rejuvenating the healthy cells. They found the PERFECT cure for Cancer. It worked fast, it worked well, it worked on many different forms of Cancer in ALL stages and it had ZERO harmful side effects. (Unlike Chemo which deteriorates your entire body and kills 1 in 5 patients. Not only that, but other research shows it dissolves ALL forms of tumors and can even combat super-bugs like MRSA.) When Richard Nixon saw the results of the study he was FURIOUS. He threw the entire report in the trash and deemed the study classified. In 1976 President Gerald Ford put an end to all public cannabis research and granted exclusive research rights to major pharmaceutical companies, who set out — unsuccessfully — to develop synthetic forms of THC that would deliver all the medical benefits without the “high.” We only found out about the study a few years ago thanks to dedicated medical and law professionals who filed Freedom of Information Requests. The Government lied for many reasons.
. One of the main reasons is Pharmaceutical Companies. They spend billions every year lobbying to keep Cannabis illegal because they make TRILLIONS off Cancer drugs and research. They are already well aware that Cannabis cures Cancer. They have a well thought out con going at the moment. Cancer patients and their loved ones will spend their entire life savings or even sell their houses and businesses in order to pay for Chemotherapy and other Cancer treatment drugs. A lot of the time they spend all that money and their loved one dies anyway. If the public found out that the Government has been lying for over 40 years, that MILLIONS of lives could have been saved and that the dying could grow the cure they so desperately need in their own backyard… The American public would be going nuts over it. This is why we need your help telling people! Here is an article about what they did if you’d like to read more, as well as an article about more suppressed research. Cannabis Cures Cancer- US Government has known since 197422. Keep in mind.. The US Government also holds a Patent on Cannabis and it’s medicinal properties. US Patent 6630507 states unequivocally that cannabinoids are useful in the prevention and treatment of a wide variety of diseases including auto-immune disorders, stroke, trauma, Parkinson’s, Alzheimer’s and HIV dementia. The patent, awarded in 2003, is based on research done by the National Institute of Health, and is assigned to the US Dept. of Health and Human Services. In the age of information, they can no longer keep their lies about Cannabis afloat. Curing Cancer with Mushrooms Over the course of the past few years we have uncovered a remarkable body of research on the medicinal properties of mushrooms. In fact, when it comes to natural cancer research, no other category has been the subject of more human clinical research than AHCC and Lentinan, both unique preparations of shiitake mushroom. How can edible mushrooms like shiitake protect us against cancer, perhaps the most widely feared disease that presently afflicts our species? Could the reason be that we co-evolved with fungi, and that the essential polysaccharides they contain were present in our diet for so long that the genetic/epigenetic infrastructure of our bodies now depends on them? Beta-glucan, after all, is found widely distributed in whole grains, nutritional yeast, as well as fungi. The friendly bacteria, in and outside of our gut, produce the beta-glucan fraction through the biotransformative processes of digestive fermentation and, in the case of food, culturing. Could it be that, failing to consume (or produce) adequate quantities, our body fails in its cancer immunosurveillance — not unlike the well-established role that vitamin D deficiency has in maintaining proper immune function, and therefore reducing cancer risk. Smoke ’em if ya got ’em… on a much higher/lighter side..
GW Pharmaceuticals “Betting the Farm” on legalizing medical marijuana. The Aim-listed biotech company has been developing Sativex, which uses compounds extracted from marijuana plants, for more than a decade and has finally been granted a licence from the UK regulator.Clinical trials have shown that Sativex, which is sprayed under the tongue, reduces spasticity in multiple sclerosis patients who do not respond adequately to existing therapies. It became the world’s first cannabis medicine to win regulatory clearance when it was approved in Canada in 2005 for neuropathic pain, but its roll-out in Britain – and other European markets thereafter – is a larger sales opportunity.Last month, GW Pharmaceuticals indicated that the medicine would be approved by the end of June, with the final stages of the approval process involving only finalising product’s packaging. I have cancer in my retroperitoneal lymph nodes and both lungs. I am going to get the money for the oil. How long will 2 ounces last? Generally how long does it take to wipe out tumors? How many 2ounce bottles will I need? please contact your local med marijuana center for more info. in the post, watch Rick Simpson video on dosage and how it is made, it’s all there. I’ve studied the negative research on weed; it is extensive. We can certainly have and voice our opinion. Not everything naturally growing is helpful. I suspect it has the power to influence the direction of the spiritual. I think it is spirit driven leading to pantheism, one world religion, one world government. There are many cures now for cancrr, and I would not give away my mind for any reason. I wouldn’t possibly risk eternal life for a little longer, easier life. With other ways available, it is not needed. we have personal, one on one, experience curing, not just arresting, cancer. Stage I to Stage III. Coconut oil kills the undesirable bacteria, but doesn’t kill the good bacteria.